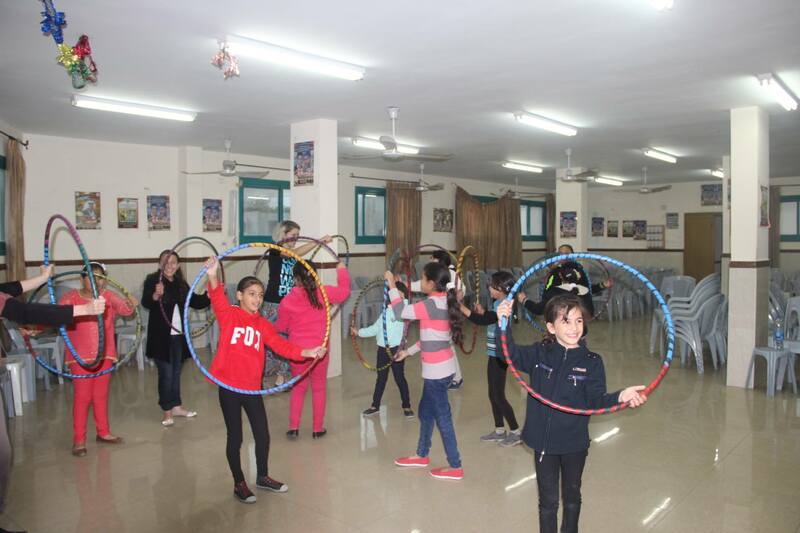 Now Announcing the 2018 Summer Camp at the Keffiyeh Center! Starting on the 3rd to 12th of August 2018. Please spread the word to your friends or anyone who might be interested. 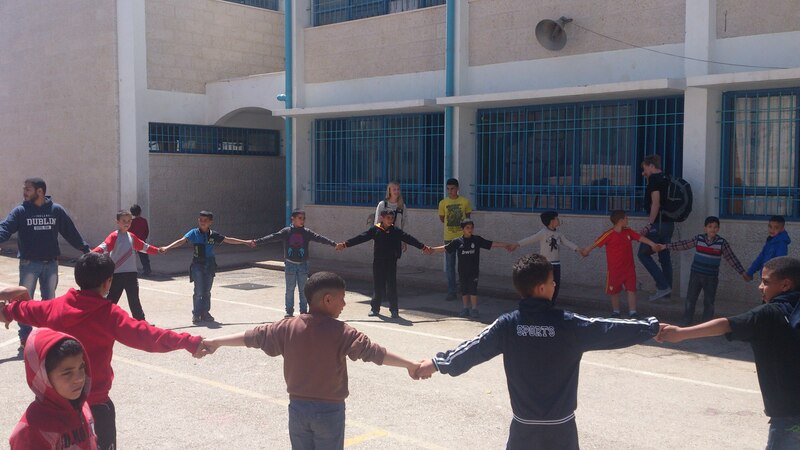 Come enjoy fun times, great activities with the kids, and discover Palestine with us! Thanks to all those who helped to make our Ramadan Night Events a success! Such a success that the number of people present exceeded the available seats. 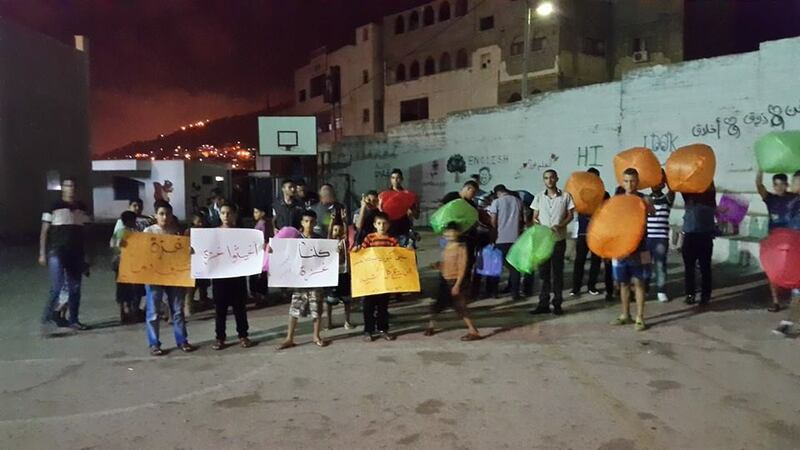 We succeeded in putting a smile on the faces of hundreds of children, women, and men from our steadfast camp. 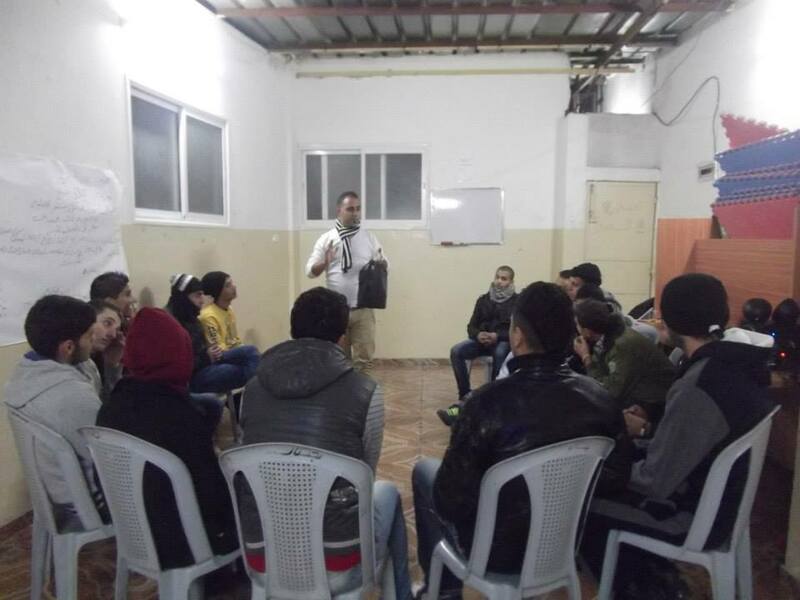 These events during this holy month of Ramadan brought together different organizations involved in social and institutional work from around the camp. Our thanks to you all! 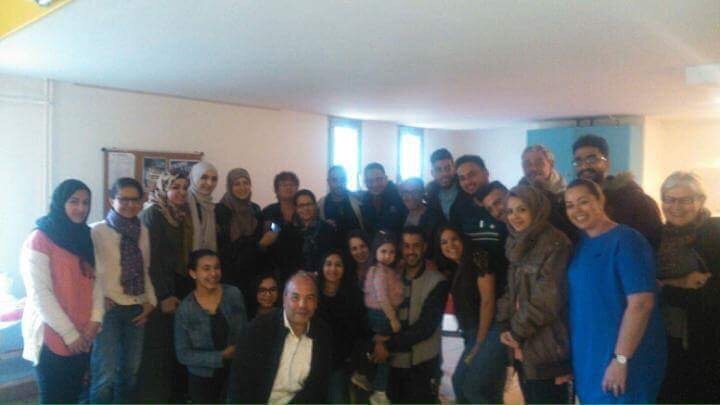 We congratulate the Youth Development Foundation – of Keffiyeh Center – for our fellow volunteers’ successes: Mahmoud Badran on the occasion of graduating from An-Najah National University and Jamil Ajouri on the occasion of the publication of his first novel! 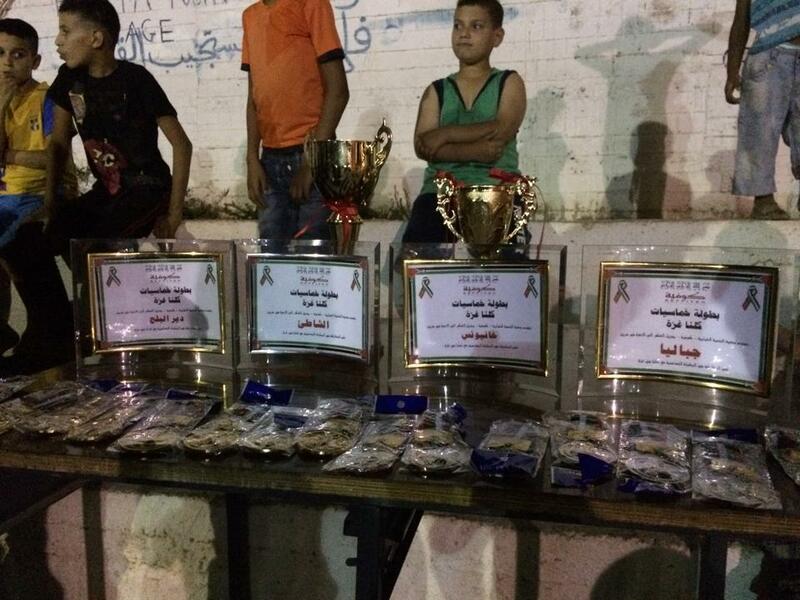 The Youth Development Association (of Keffiyeh Center) organized a football tournament in Jerusalem on Friday as part of the series “Jerusalem is the capital of Palestine.” Our thanks to all the institutions of the camp who responded to the invitation and participated in making this tournament a success. We at Keffiyeh affirm our commitment to continuing activities aimed at strengthening the steadfastness of future generations towards their eternal capital. 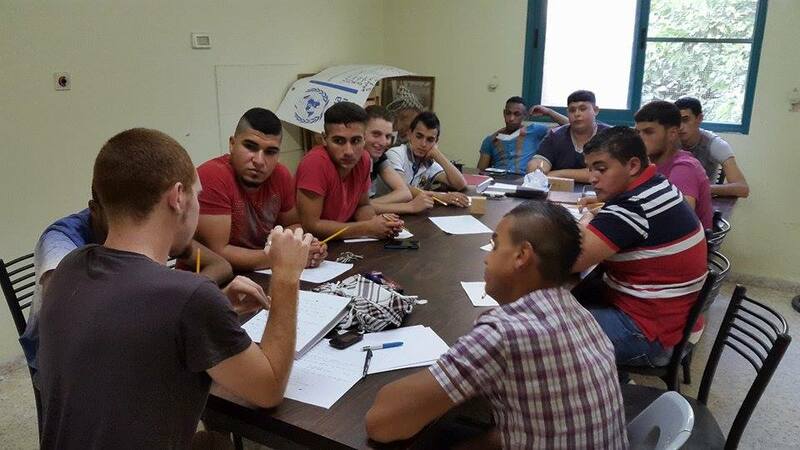 Preparation course for volunteers (PAFA) and youth development at the center. 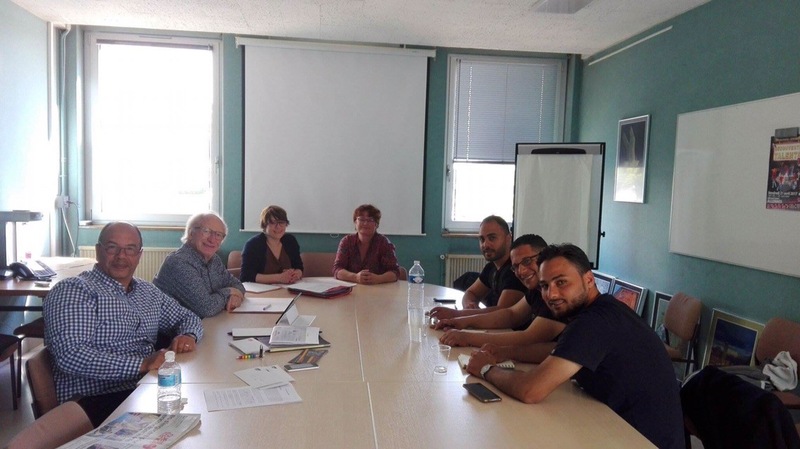 French course teaching, in partnership with the CCF and Allonnes city. 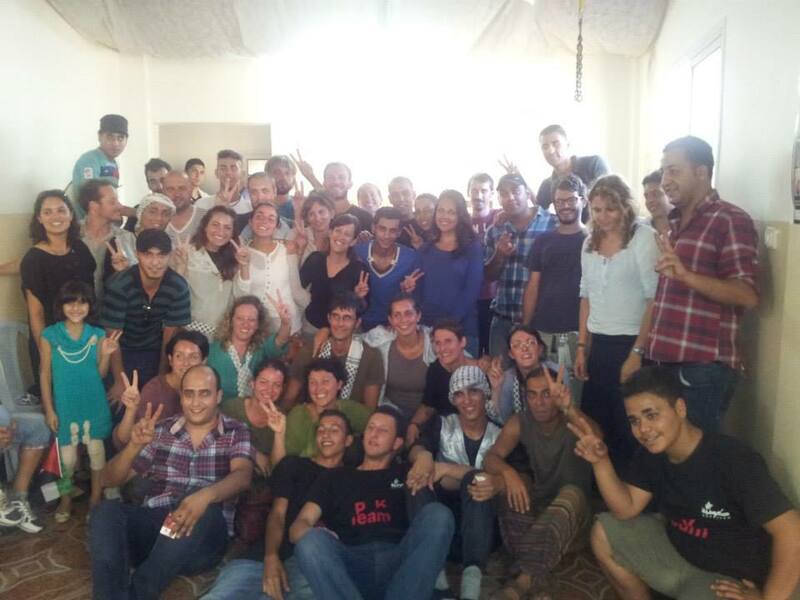 every Friday the young people meet in keffiyeh center and start dabka training. 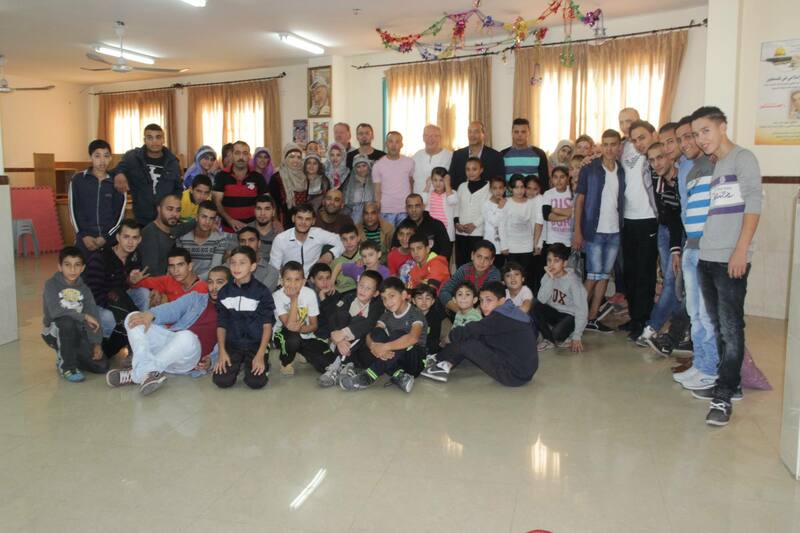 Keffiyeh center children welcomed the Prime Minister Dr. Rami Al Hamdallah in new Askar camp, and they perform a dance show during the opening of the hall of joys, this project funded by the Prime Minister Fund and the the popular Committee for the services of new Askar camp. For the first time in winter, we’ve organised a 9-days program for women. 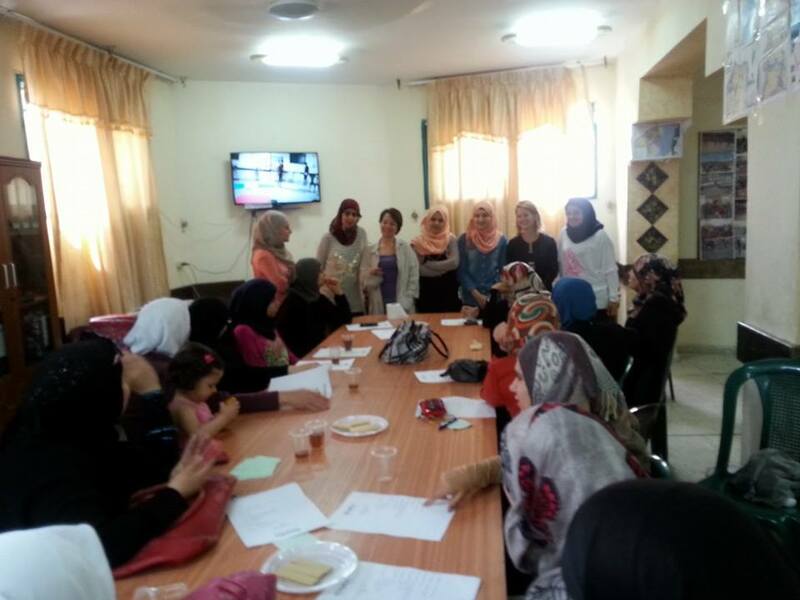 Every morning about 20 women have gathered together to take part in the activities. We’ve started with a self-expression workshop, and then we’ve had a nutrition conference, a Zumba training, puppets and jewellery creation, and finally sport. 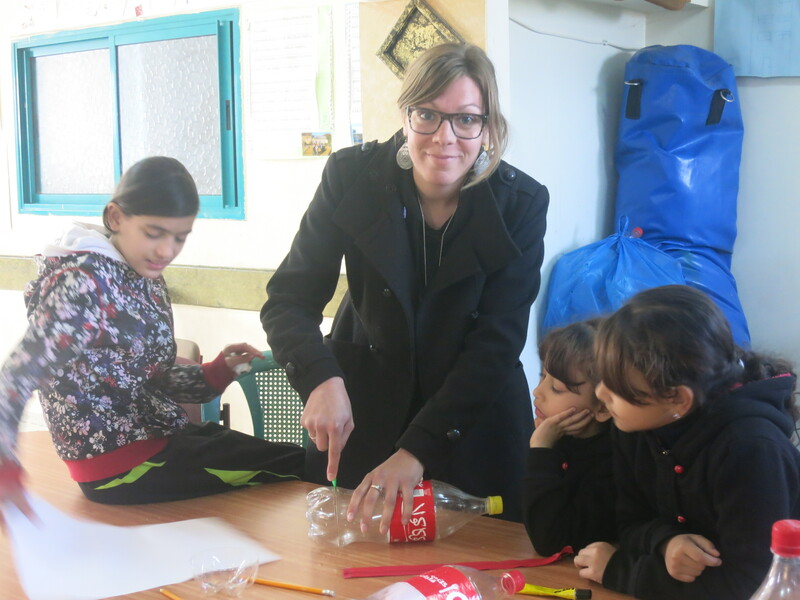 For the first time, children have been involved in the recycling project. This project aims at creating new things from waste. This time we’ve created pencil cases. 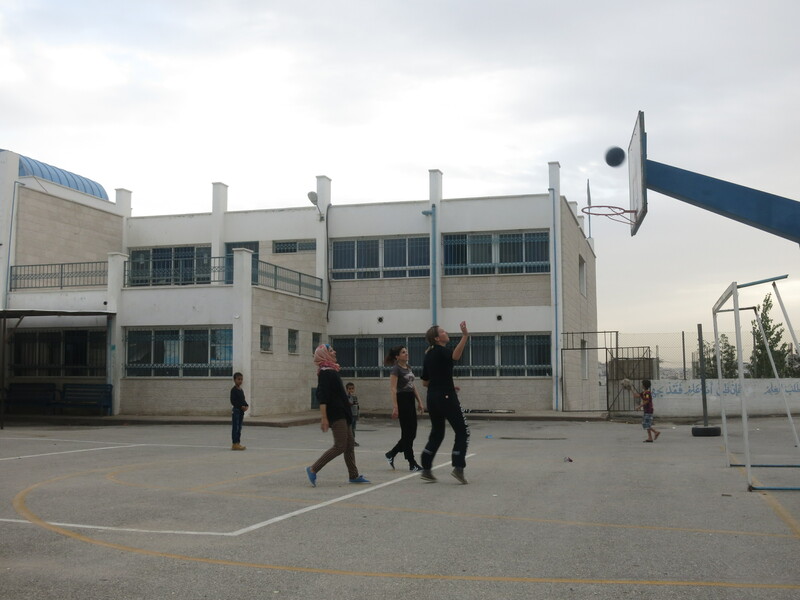 December is a very busy month in Palestine, as most of the children and teenagers have exams. 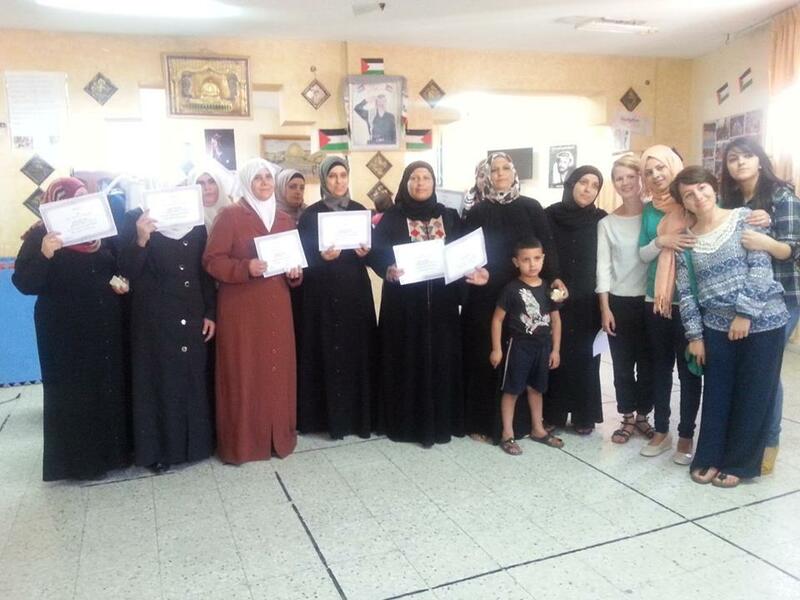 Although they had a lot of work, Keffiyeh’s volunteers provided school support in mathematics, sciences and english. 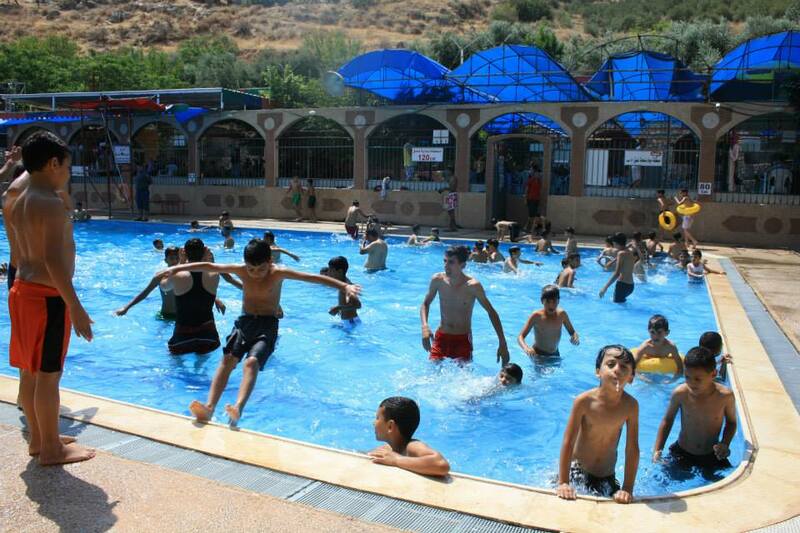 What can you do on a sunny sunday in New Askar camp? 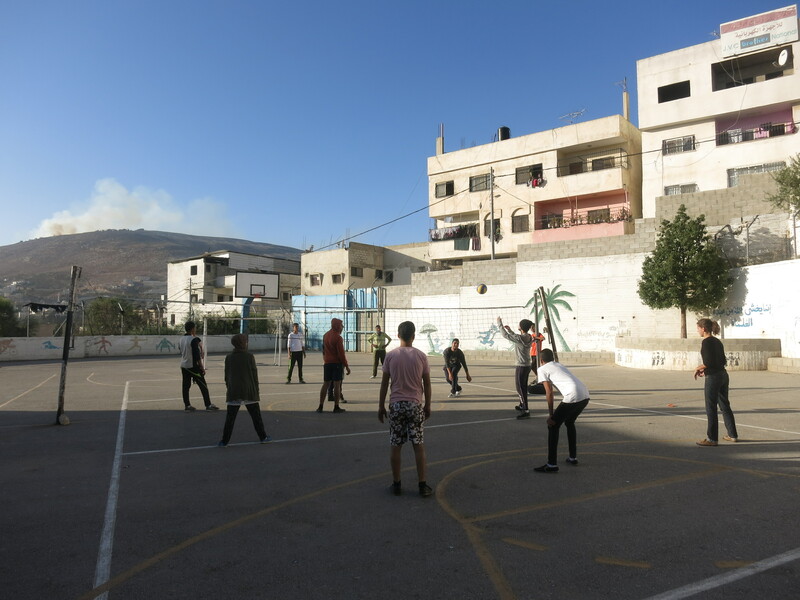 With the Keffiyeh team we play sport. Two hours of fun, training and –more and less- good game. Girls played alongside with boys, and they weren’t bad at all. 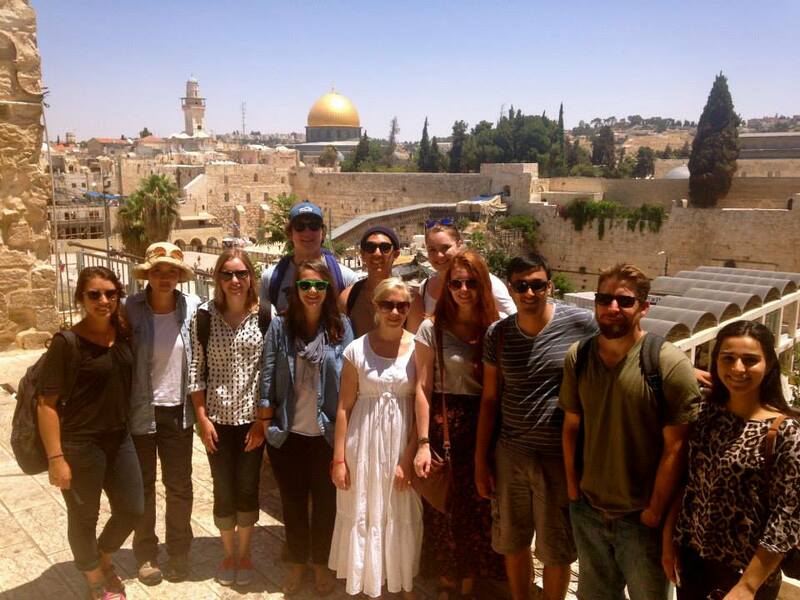 As we say in palestinian arabic: halu! A delegation from the city of Allonnes, Cémea and Génération Handala. From France. 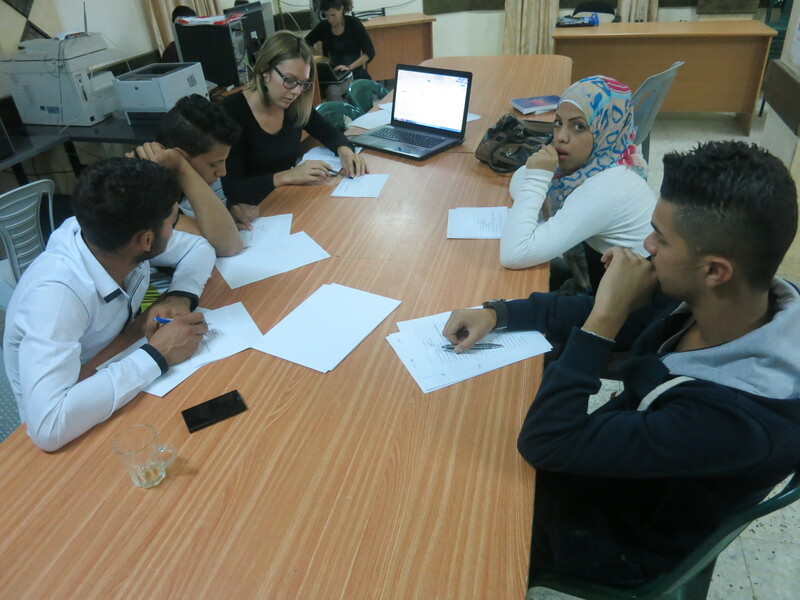 English and French classes are given by international volunteers in Keffiyeh Center once a week for beginners and for those who want to improve their language skills. 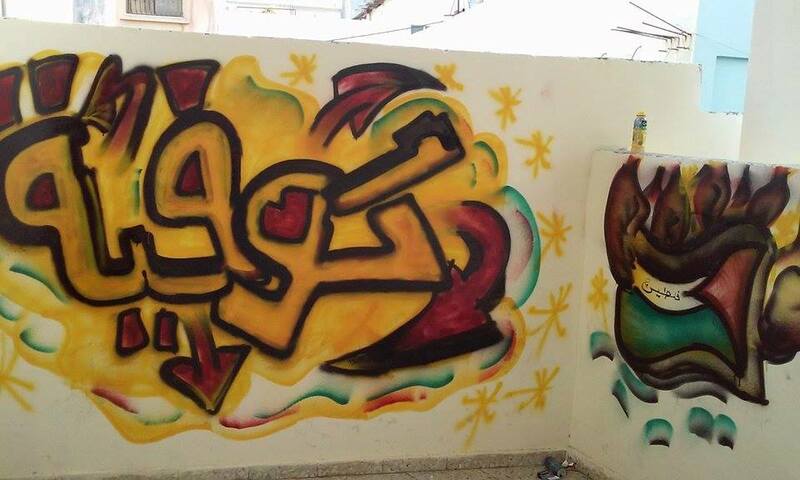 Thanks to our writer from the hip hop section, there are new graffiti in the camp! 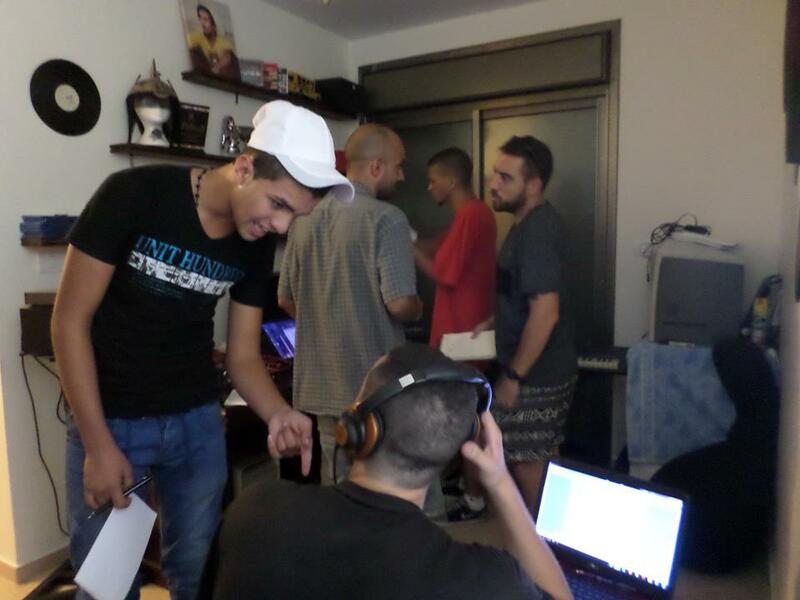 An italian project that brings together hip hop artists from Palestine and from Italy. 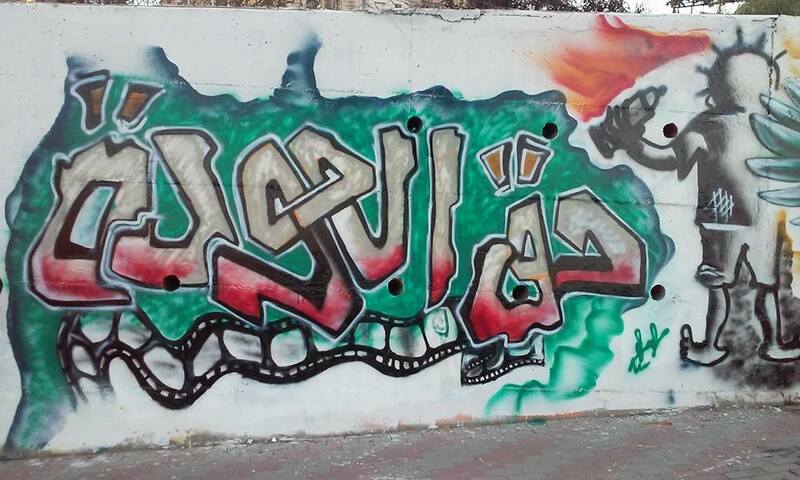 Our rap band “Sound World” recorded a new song with italian rappers and our writer realized a new graffiti in Ramallah with an italian writer. 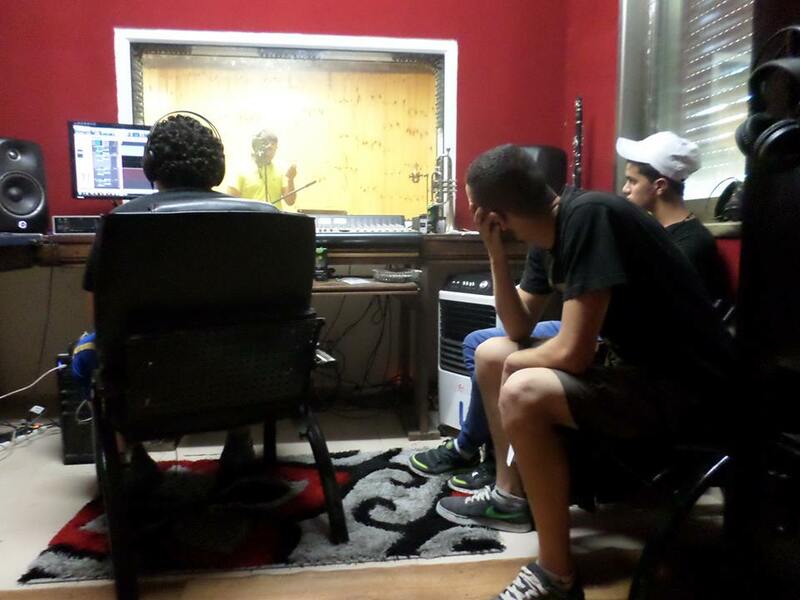 The album will be ready soon… stay tuned! 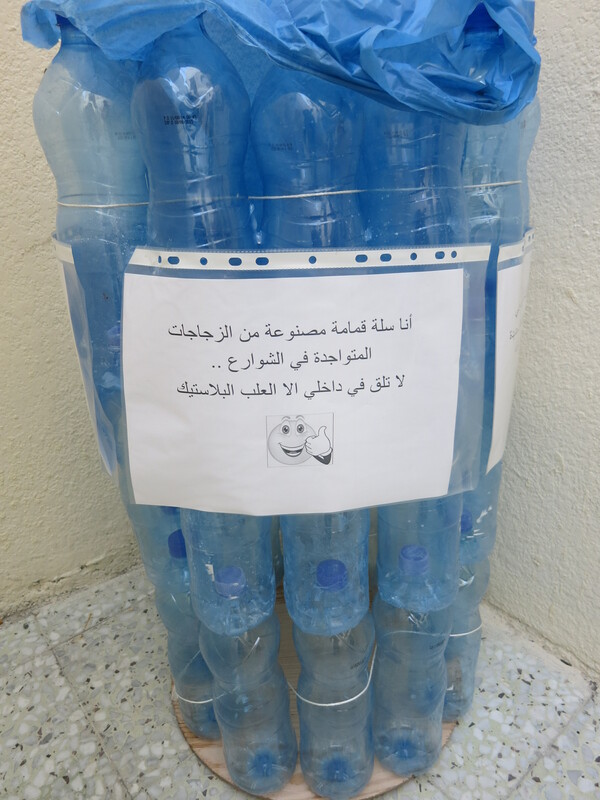 A recycling project has been started in Keffiyeh Center with palestinians and internationals volunteers. 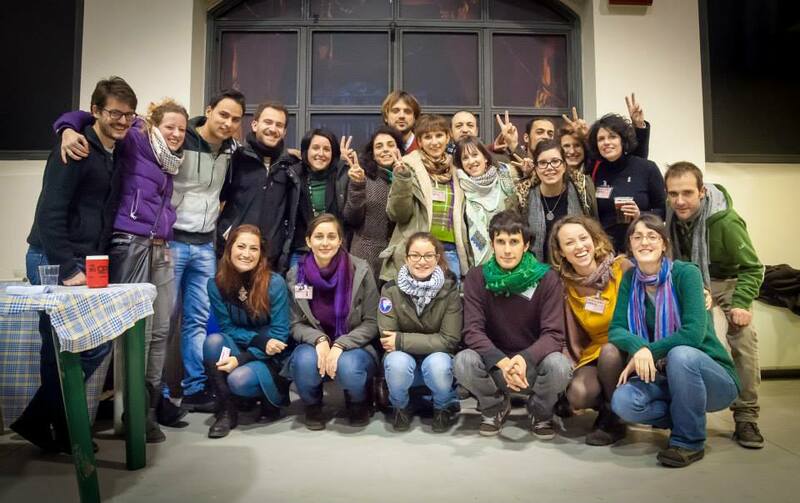 Youth between 15 and 20 years old are invited to make new things with plastic bottles or waste. 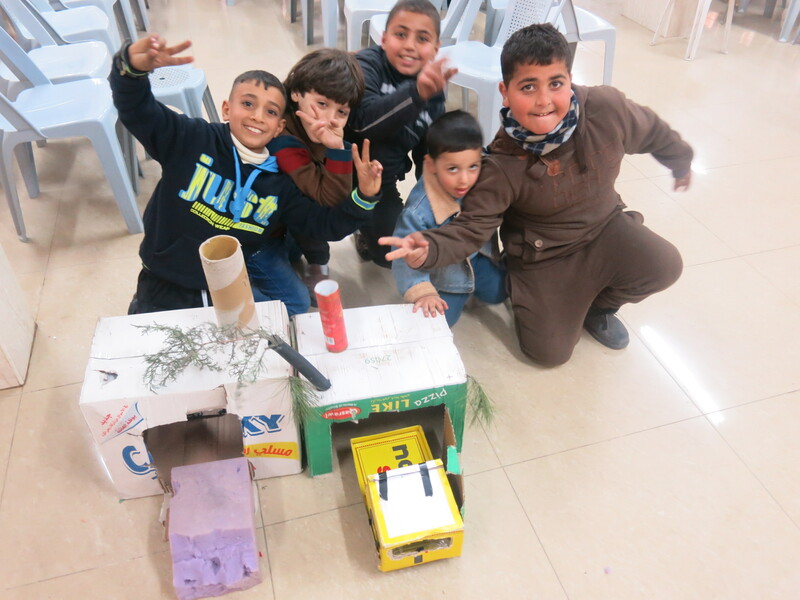 The main idea is to use the waste as there are many in the streets of the camp to build objects and develop new skills together. 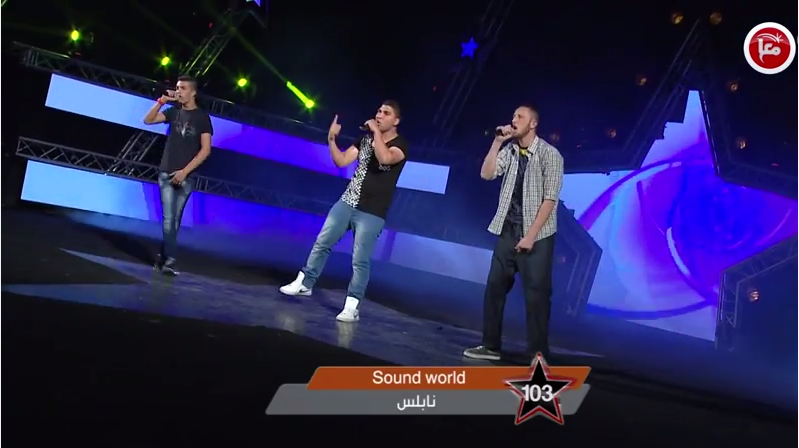 The first video of our rap band ‘Sound World’ on youtube! Finally, “Black Cloud”, the second song of ‘Sound World’, has a video. Enjoy it on youtube! And if you want to see the backstage… click here! 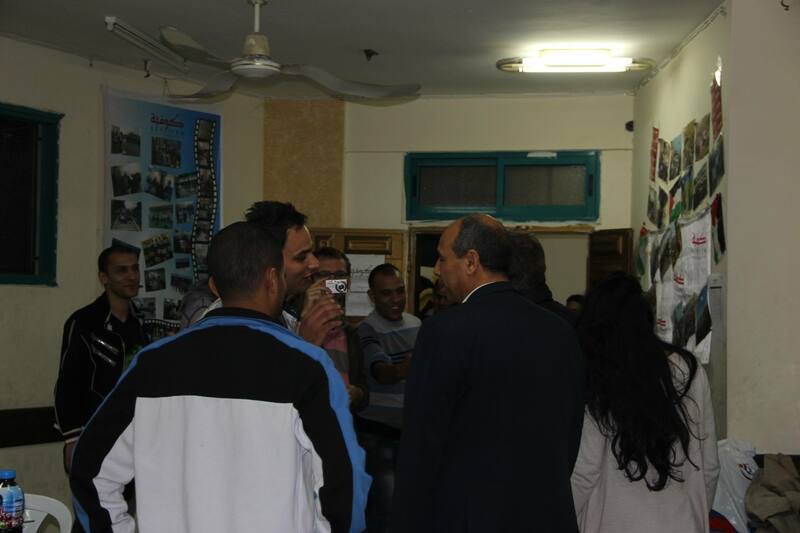 An italian delegation visited Keffiyeh Center and New Askar Camp! 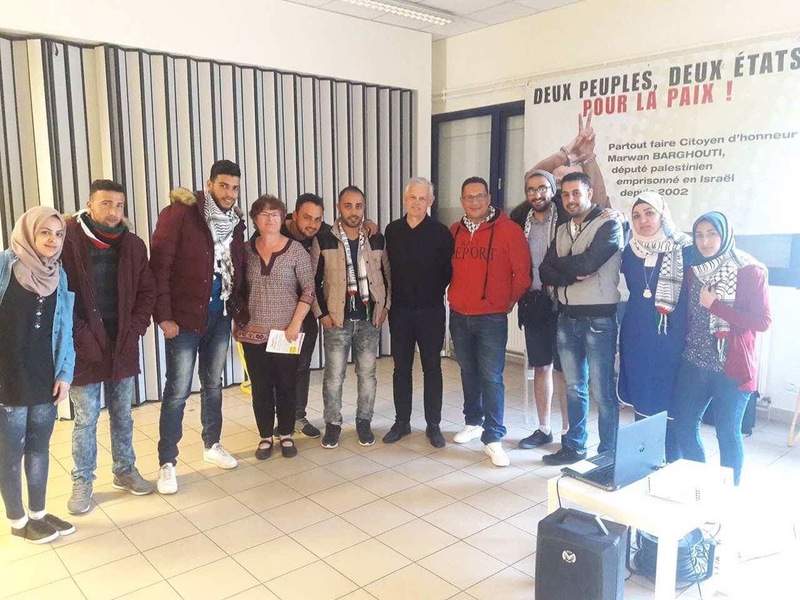 The mayor of the city of Allonnes, Gilles Leproust, welcomes the delegation of 13 palestinians from Keffiyeh Center, read the article here. 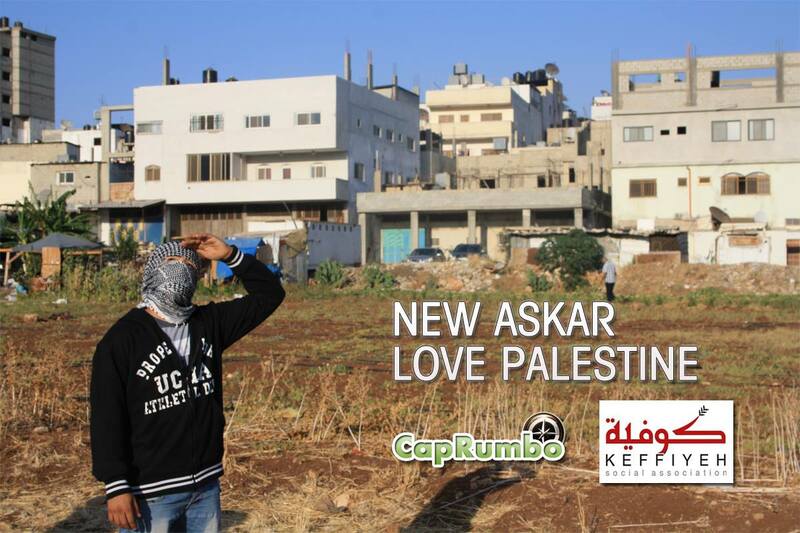 From France the idea to realize a short video about the life in Palestine and specifically in New Askar Refugee Camp. Come and share intense moments with us! 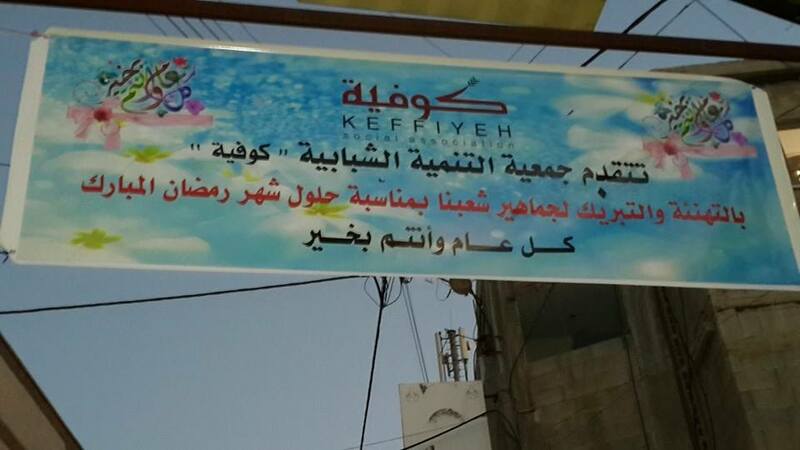 From 7th to 23rd August 2014, Keffiyeh Center invites you to participate in its summer camp in New Askar. 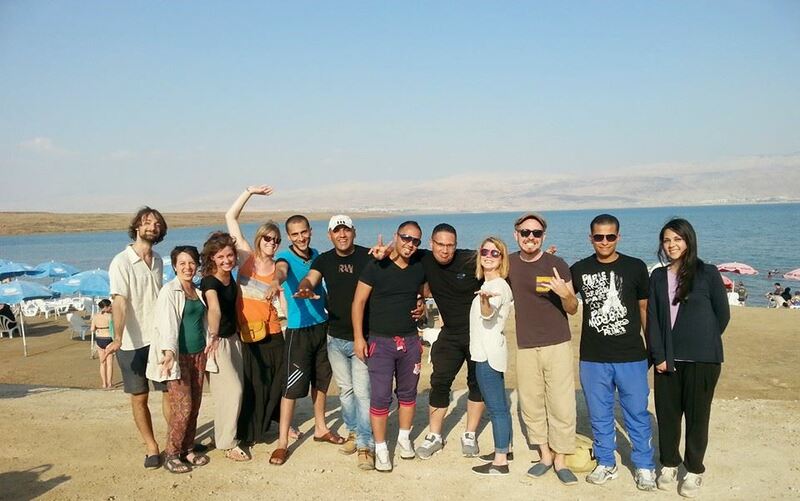 It is the great opportunity to discover Palestine while organizing activities for children with our volunteers! 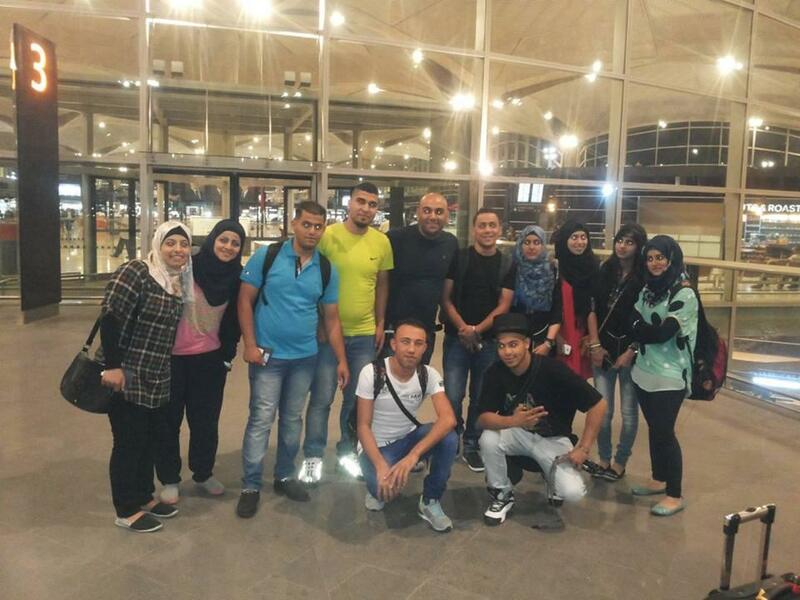 August the 17th, under a youth exchange agreement, 12 guys from Keffiyeh Center will spend 10 days in France. 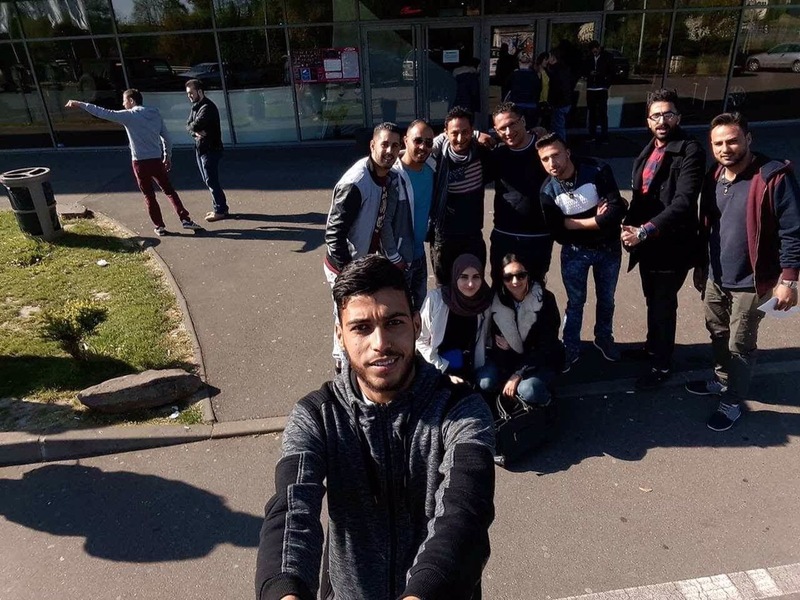 Conferences, debates, performances of theatre, rap music and dabke dance will take place in Nantes, Allonnes, Paris and Saint Nazaire. 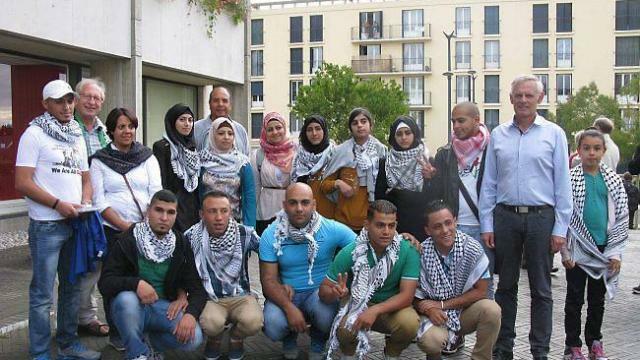 At the same time, we are eagerly waiting to welcome to Palestine a group of 12 guys from Nantes during the upcoming Autumn. 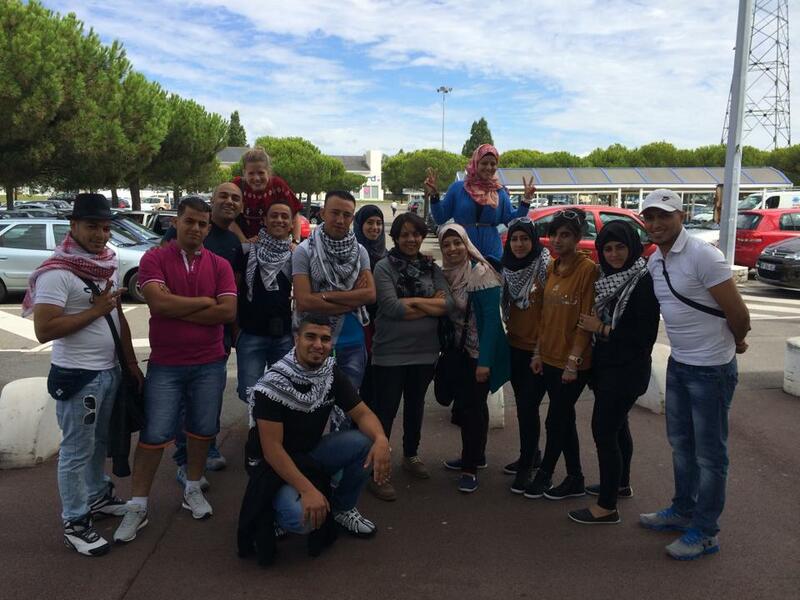 The keffiyeh’s march in solidarity with our people in the Gaza Strip. 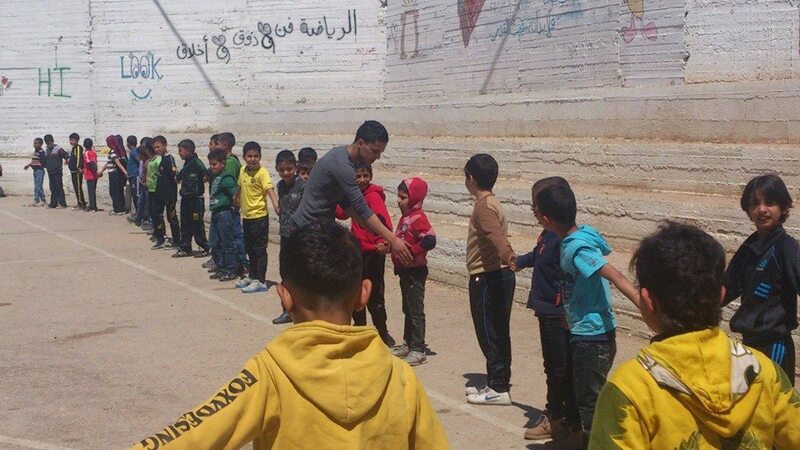 Football League “We are all Gaza ” organized by keffiyeh Center. 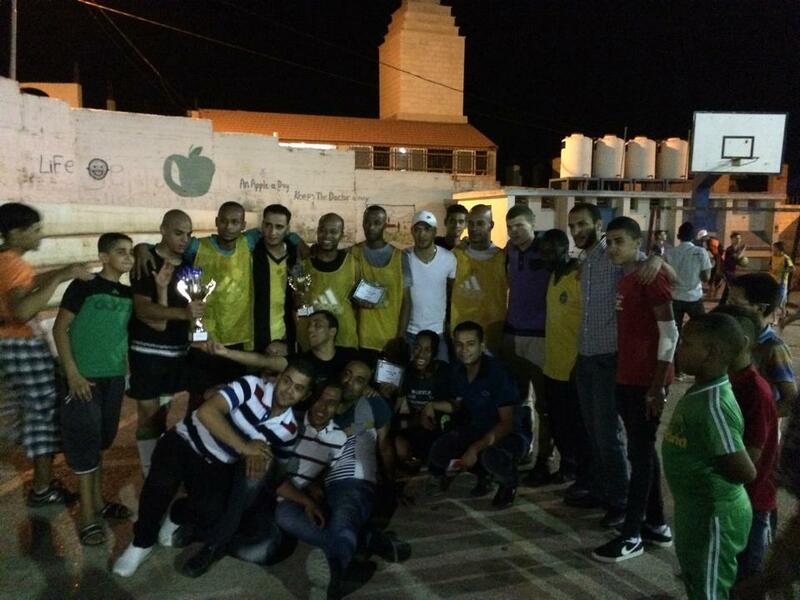 The final game between the Shati refugee camp and Rafah. 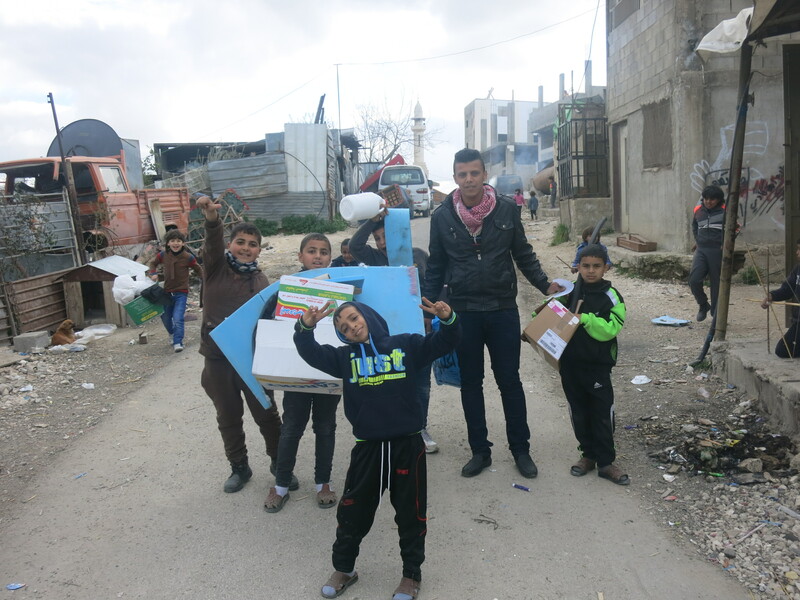 Distribution of food, sweets and drinks for the poor families of Askar Camp. 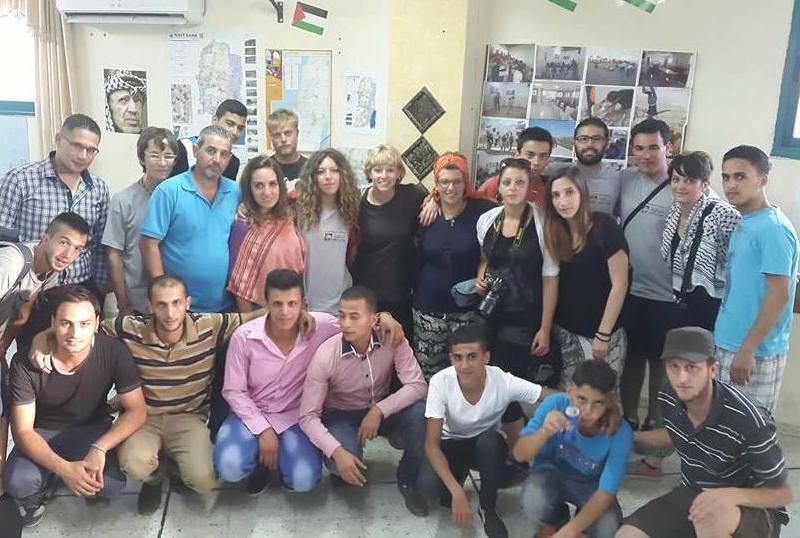 As every year, also this summer a group from the USA visited Keffiyeh Center and New Askar Camp! 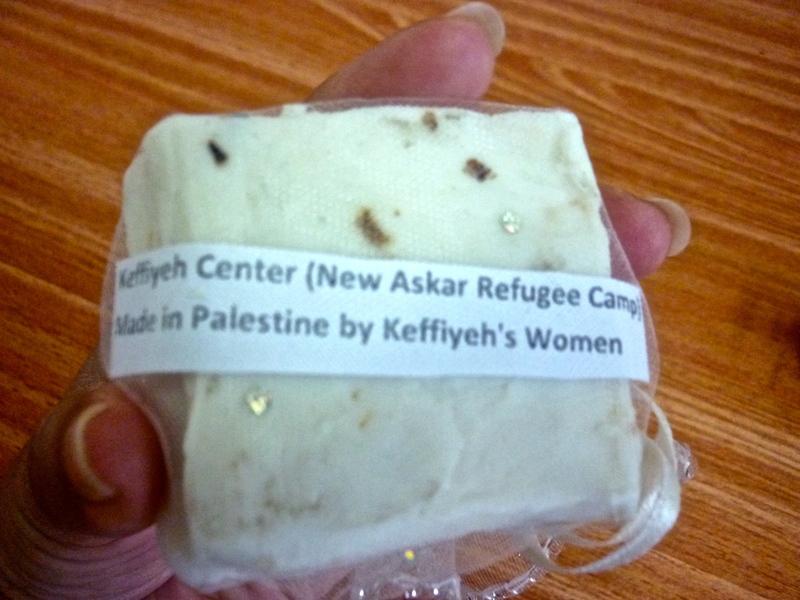 Our handmade soap is ready to be sold! A video clip by Marine, from France. We participated because we want to show that we are resolved to rise above our pain, be joyful, celebrate life and celebrate Palestine. Happiness is one of the strongest act of resistance. More. 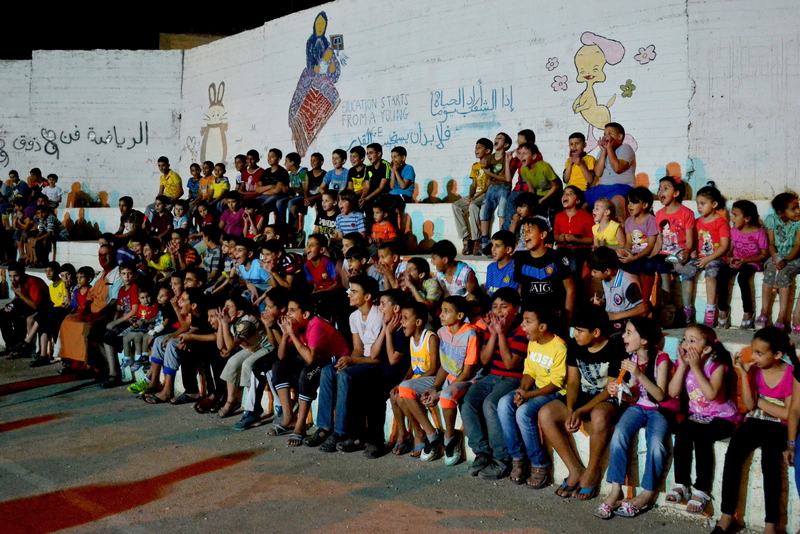 About 100 children came to the party organized by our volunteers. 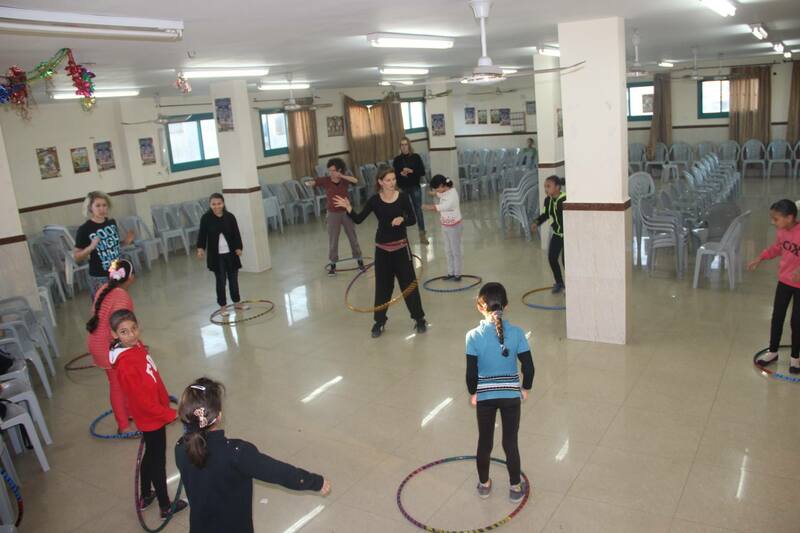 Entertainment, games, dabka show, clown show and many gifts to put a smile upon the faces of the kids! 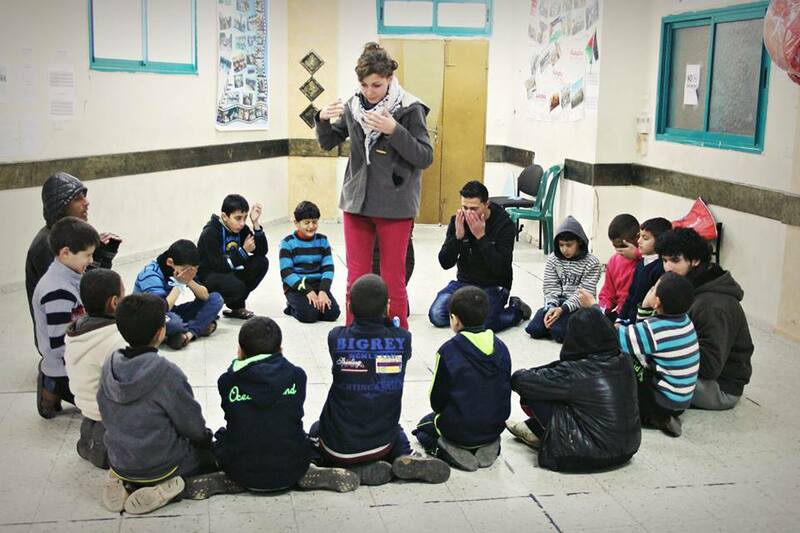 Nicolas, from France, and Keffiyeh’s volunteers started a new project. 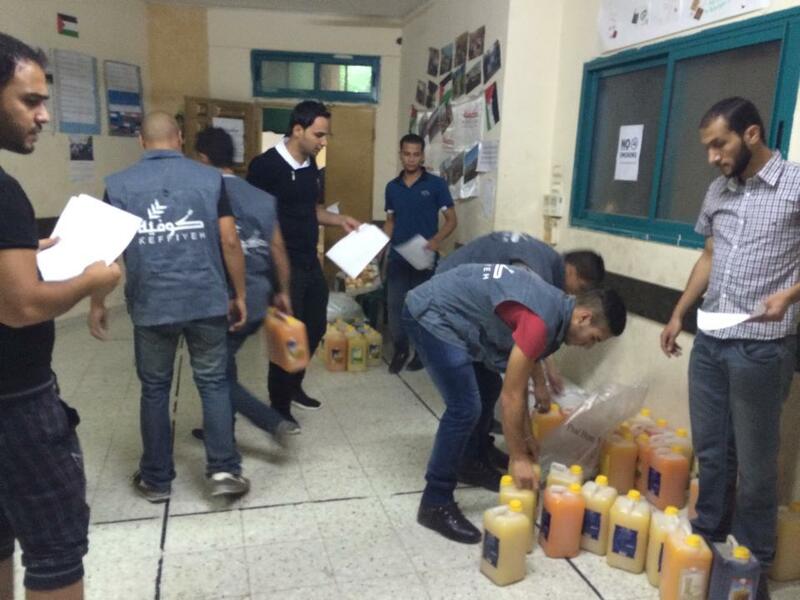 Special days for the volunteers, both palestinians and internationals, before the Ramadan. 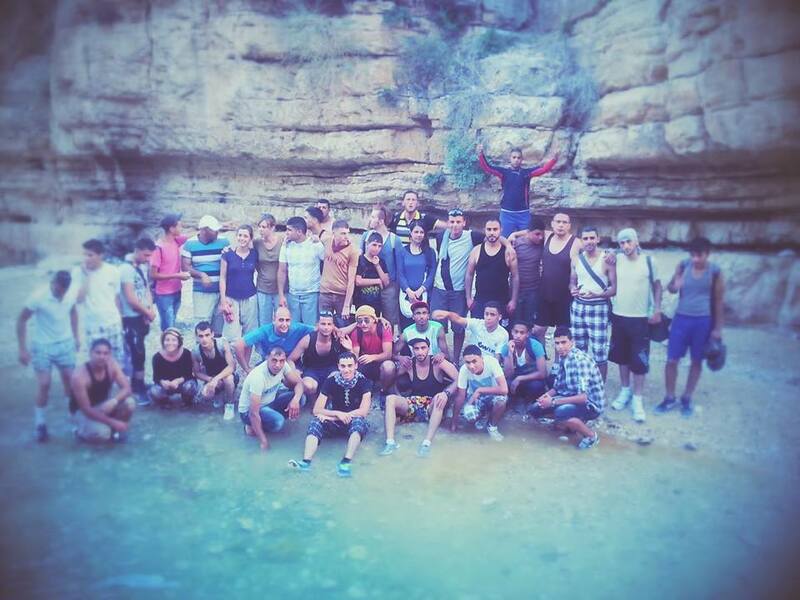 A trip to the Dead Sea and barbecue and dabka in Wadi Al Qalt (Jericho). 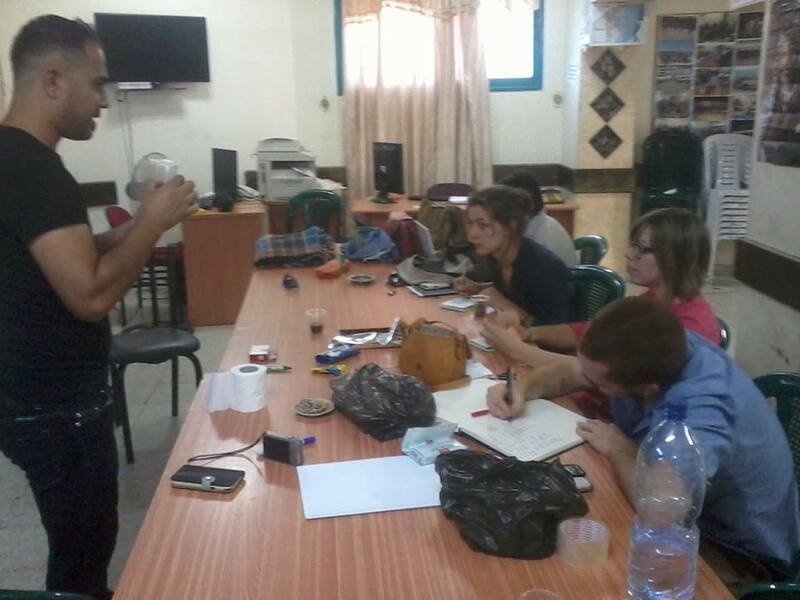 Arabic lessons for international volunteers in Keffiyeh association, twice per week. 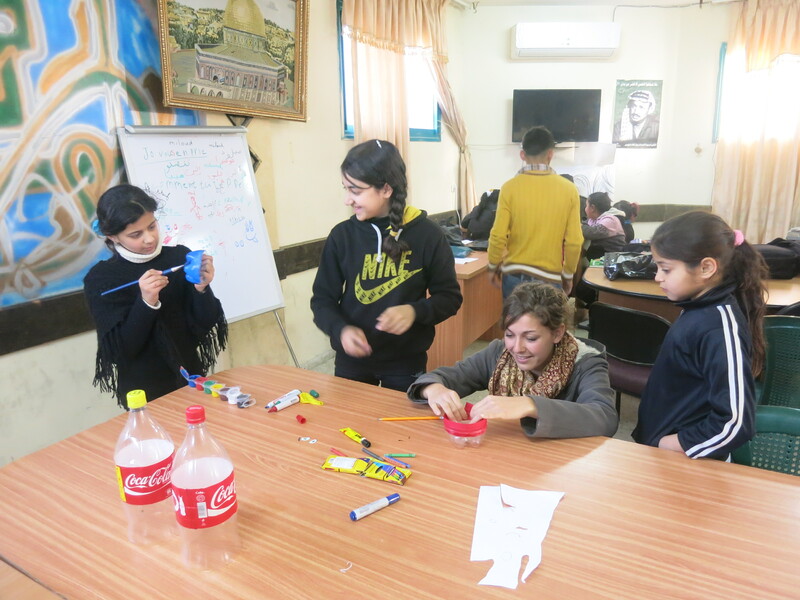 Volunteers of Keffiyeh Center creating kites with Palestinian colors, and children making them fly in the sky of Askar. 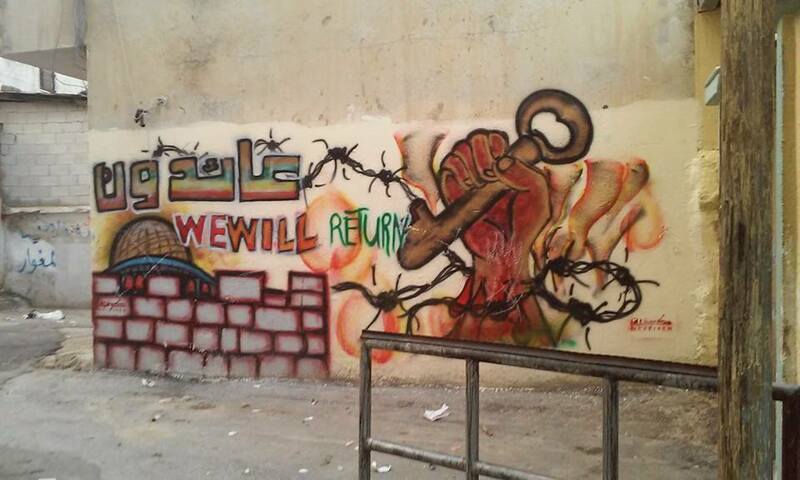 A symbolic action to support prisonners on hunger strike for 45 days. One week’s Summer Camp for women. Soaps, jewellery, yoga, a day trip and more! At the end, a certificate has been delivered to all the participants! 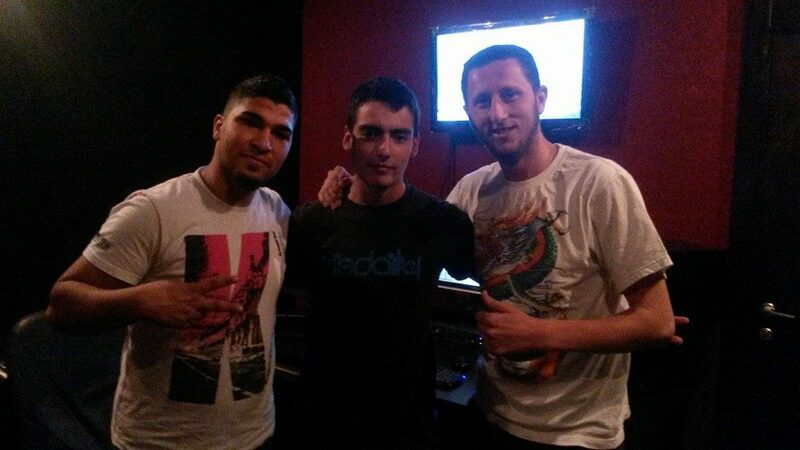 When music means international solidarity. 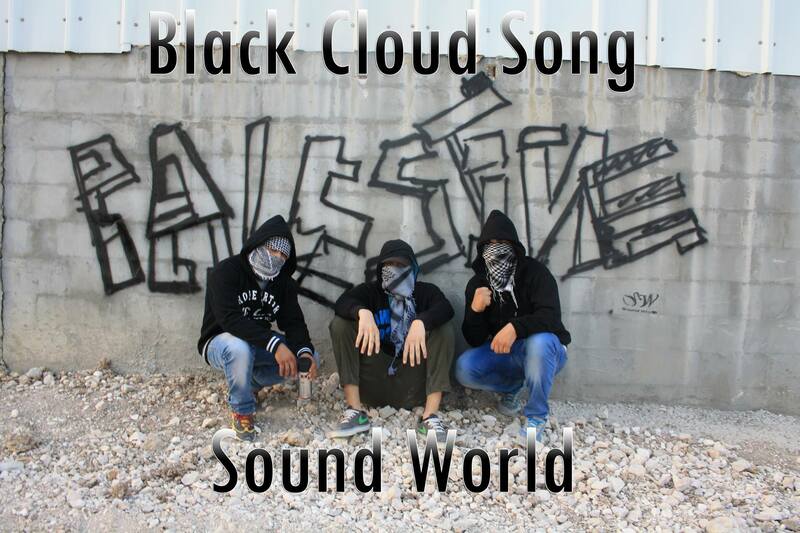 A young guy from Germany and Sound World (our rap band) create a new song together, ‘Black Cloud’. 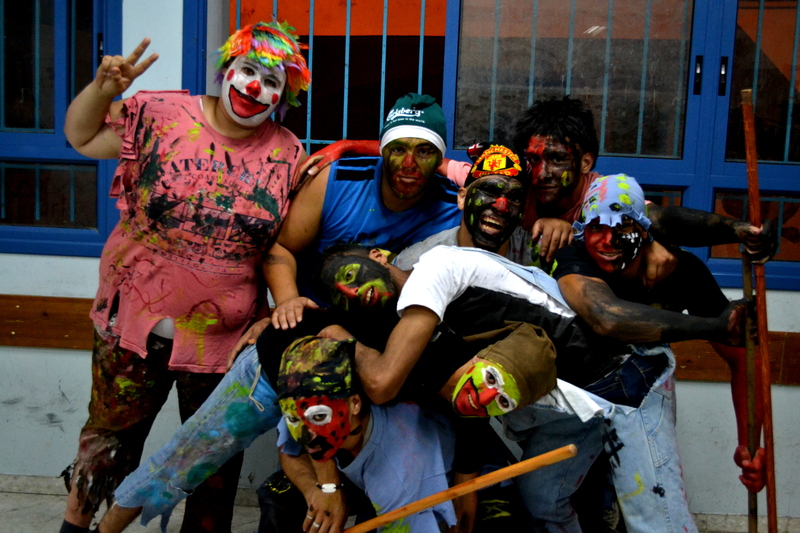 See the working in progress of their video. 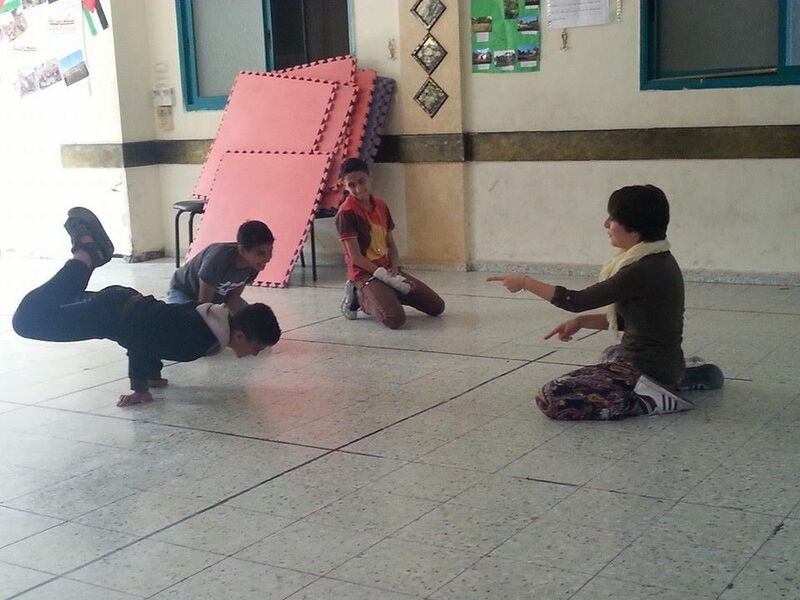 First lesson by our volunteer from Italy. Thanks Caterina! 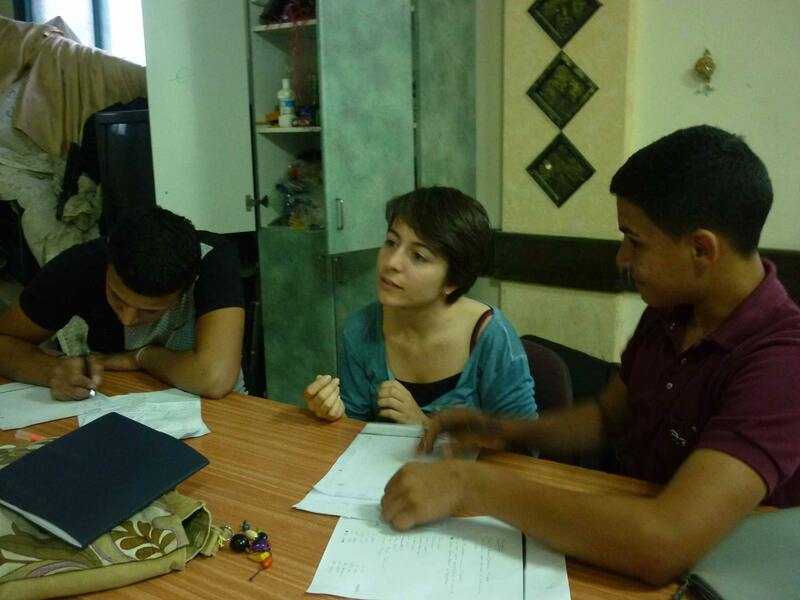 First day of the Writing Projects Training with the volunteers and Aline. 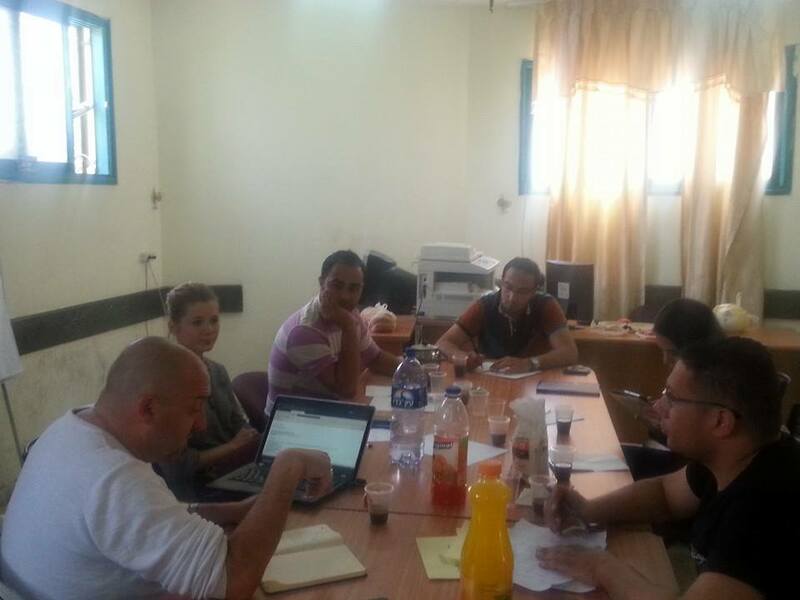 Discussing new trainings and activities. 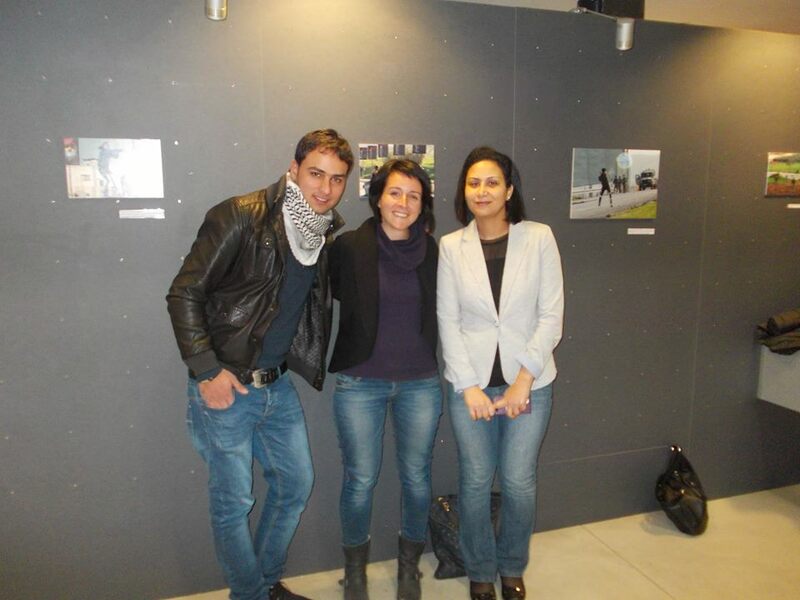 With Aline from France, and Caterina from Italy! 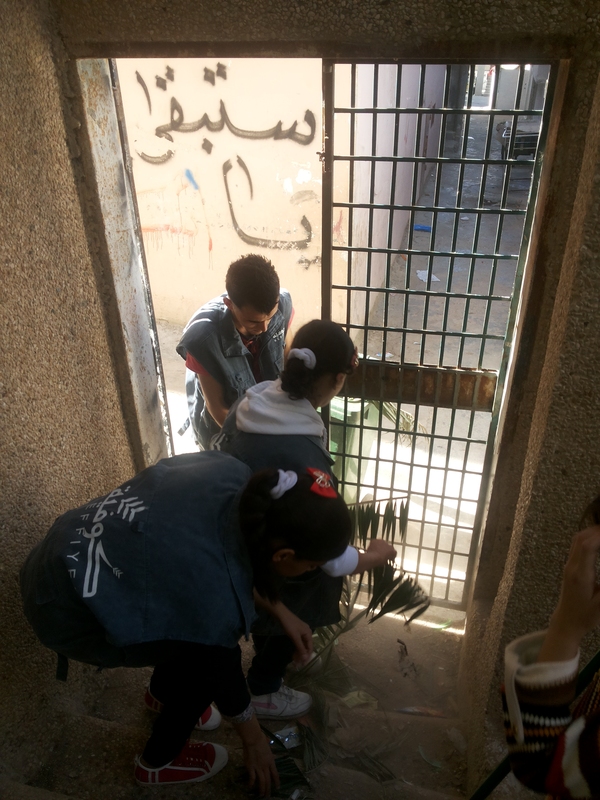 Today the guys of Keffiyeh Center cleaned the Martyrs’ Cemetery in New Askar Camp. Little show out-of-doors by our children for a filmaker working on a film entitled Happiness. 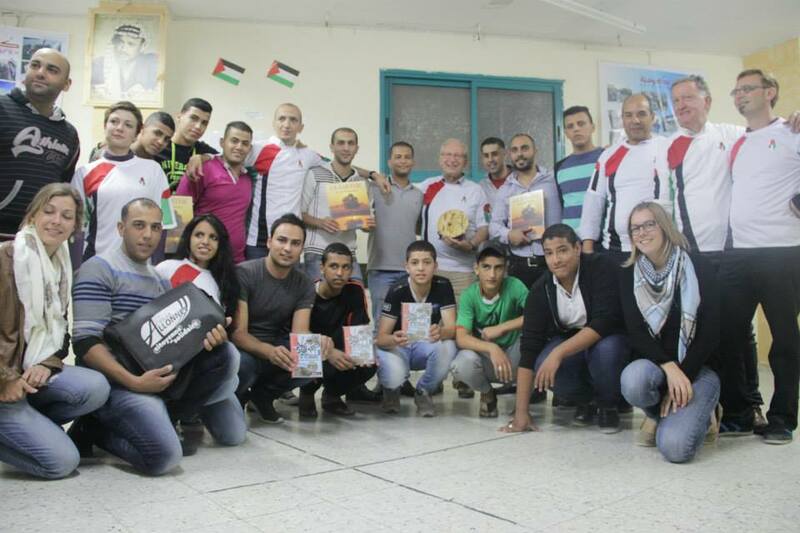 The guys of Keffiyeh Center take part to an UNRWA activity. 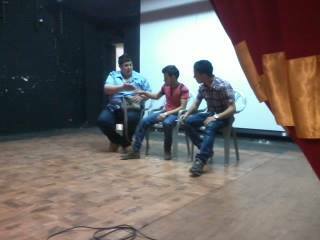 They use theatre to make drug prevention. 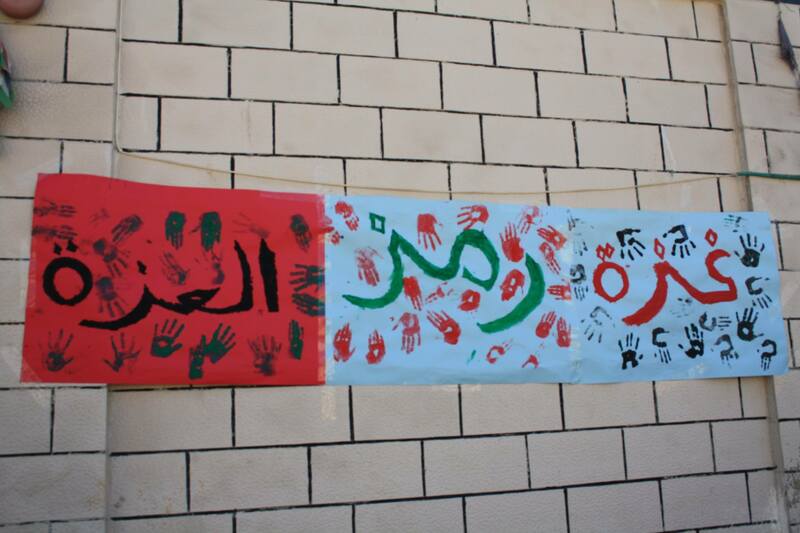 Organization of an open day for students in Askar School. 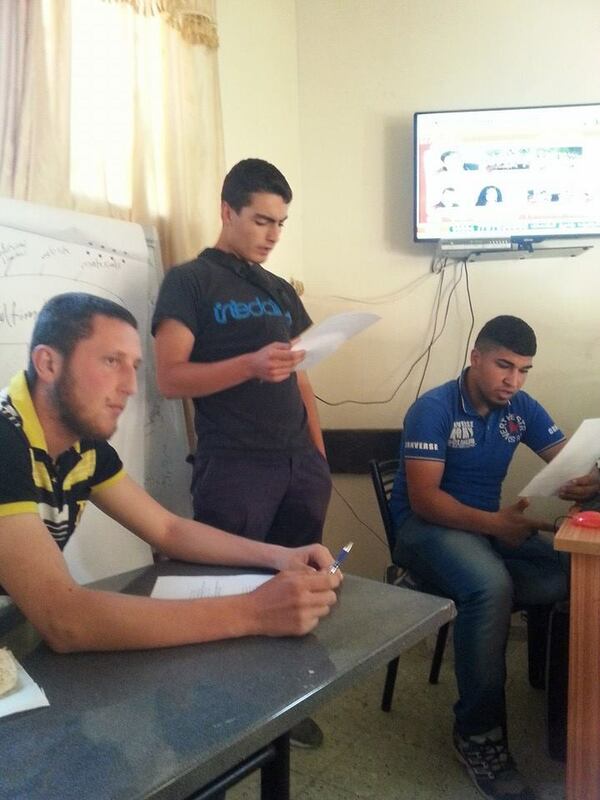 Training session organized by UNRWA. The topic of today is “Self-determination”. France. 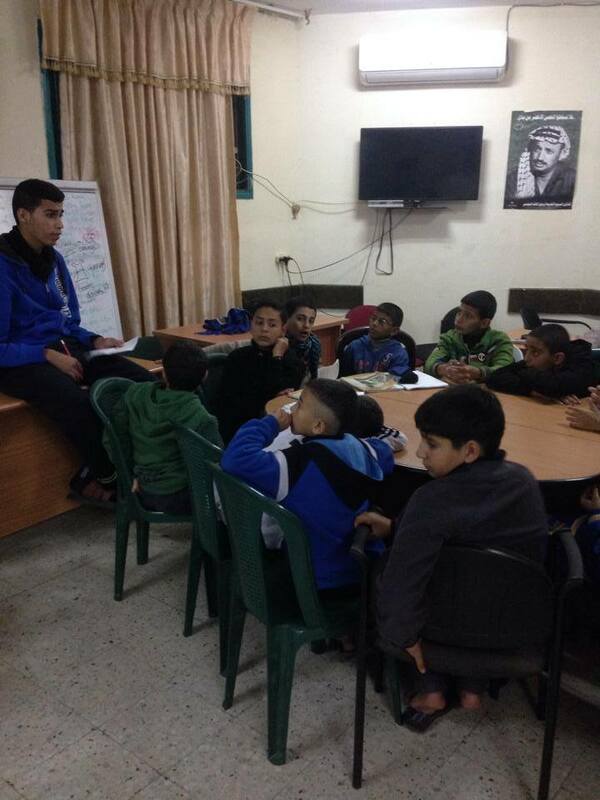 Lecture by one of Keffiyeh’s volunteers about studies and socio-educational activities in Palestine. 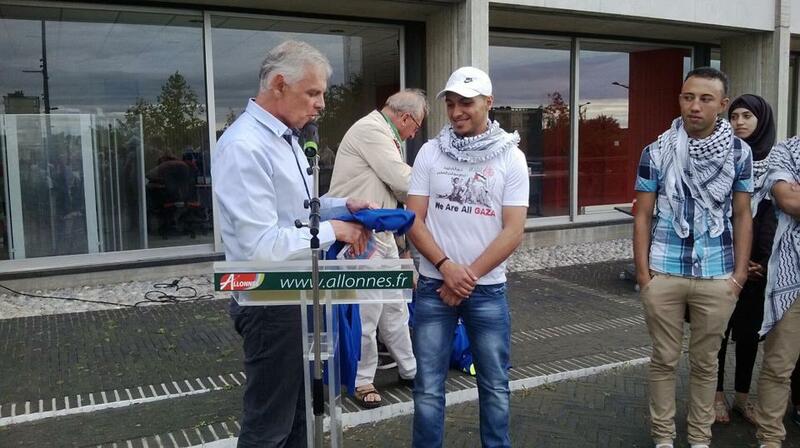 Among the speakers: the award winner palestinian journalist, on the right, and one of Keffiyeh’s volunteers, on the left, to talk about the palestinian refugee camps. In french BAFA means “Brevet d’Aptitude aux Fonctions d’Animateur”.